At the bottom on the left is an alphabetical list of the pages in this web site, to help you navigate if you feel so inclined. A guide to our family photo album covering 1994-2010, showing the principal themes, is here. A year by year guide to our family time-line from 1994 through 2007 is here. A photo journal beginning in 2008 is here. "A Tapestry of rich, embroidered hue. . ."
Our lives too have been a tapestry, 16 years of which which we have tried in our modest way to weave into this extended photo album. The headings above are the the basic squares of our photographic tapestry, and each one of them is the theme for its own collection of pages. You can explore by clicking through the above links, and the links above in the pages you land on. That's one way to navigate. Others are highlighted below. But let's start with this photo album's genesis. As you can see here, first there were albums on paper, organized by themes. That organization was transposed to the web. Then the web themes were expanded over the years. The first basic theme is people, and this being a family, our themes start with parents and children. 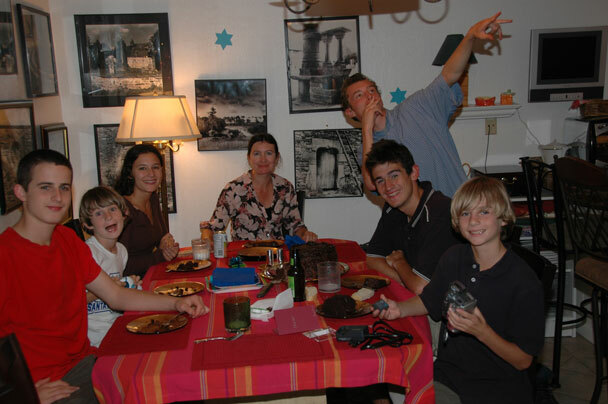 Marie-Hélène and Ian are the parents, and the "big kids," Nick, Daphné, Alban and Tom, and "little guys," Charlie and Alex, are the children. Then, we have photos arranged by family groups: for example, we have big kids with little kids, because there is a space between our older four children and the younger two, our cats, and even a few kisses! Just to show that we are not entirely self-obsessed, we also have friends and family pages. These include Ian's friends, Marie-Hélène's family, grandma, grandparents and the Hanlons (friends of both), and Alex and Charlie's friends. The photo above left was taken by papa of all of the rest of us at home for Charlie's 12th birthday cake in 2007. The reverse version, taken by maman, is here. To see all the titles of all the pages within any major theme (named in larger fonts in these paragraphs), click on it! The second basic theme is the passage of time for us and ours, our history. We're a little bit modern in the sense that some of our history preceded the wedding! Our history includes the phases in the life of this family. This is the part that we hope the children will each read as they grow up. It starts with the blending of the two then existing families when we moved in together in 1994, and continues with Charles' arrival in Brittany in August 1995, our wedding in May 1997 and Alex's arrival in Santa Cruz in January 1998. The third family was then complete. The three families continued through the years, two rounds of graduations, Nick's and Daphné's moving out, and Tom's moving back to Paris. On and on we go! We also approach our history with our carousel of time, a kind of diary, composed in retrospect for each year from 1994 through 2007. The text for each of those years was prepared normally at the end of the year as an update for friends and family. From 2008 on, this album has become a photo journal organized by year. On the right, a piece of history that didn't fit on any of the above pages, Charles's "promotion" from Happy Valley School, after seven years there, happy indeed. If it had been called a graduation instead of a promotion, it would have fit on a graduations page. The final basic theme, although this one is harder to summarize cleanly, is our various activities. We go on vacation, enjoy a collection of hobbies, have fun on special days, and have many places that we call home. You're right, homes are not activities, which proves simply that all classification systems are imperfect! Our homes have been in France, England and California. Our vacations most often include France, England and California! They also include Disneylands in France and California. In North America, we have travelled to Florida, Vancouver BC, Colorado and Death Valley. Our hobbies include some that you might expect, such as video games and surfing, and others less hobby-like, such as homework and trains. Special Days are mostly pretty much obvious, as in Christmas, Thanksgiving, Halloween and Christmas. The photo to the left came from 2007's summer vacation, which we split between France and England. 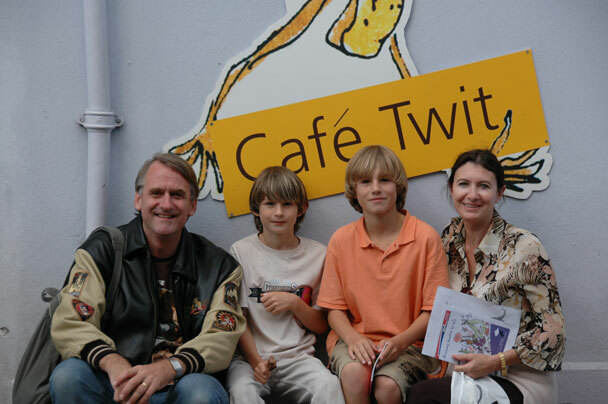 The Cafe Twit is in Great Missenden, Buckinghamshire, at the Raoul Dahl Museum. The big kids rarely accompany us on vacations these days . . .
Did you remember that to see all the titles of all the pages within any major theme (named in larger fonts in these paragraphs), you should click on it? The best way to see all of the pages in this album is to do just that. The hyperlinks here cover maybe half of the pages, maybe less.  Just in case, here's an almost random list of other pages not yet linked here. There is the Santa Cruz Beach Boardwalk, our town's very own amusement park, and West Cliff, home of the surfing museum and a great Sunday afternoon stroll or bicycle ride. Here are Faby and Jean, with Fiona, Maeve, Leah and Chenoah. Here are early photos of Nick, Daphné, Alban, Tom, Charles, Alex, and Alex and Charles. 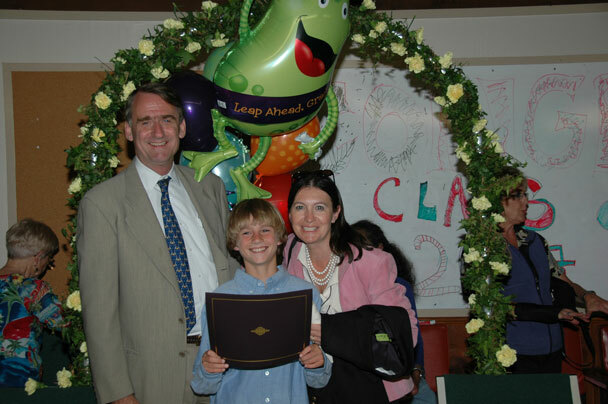 Here is Charles and Alexander's belated baptism in Brittany, in August 2004, Courtney Bolin and Antony Nash's wedding in La Jolla, California in November 2003, and the 25th reunion of Ian's law school class in October 2007. Here is Edgar, a Chateau in France, a little fooling around, and even a little homework and stamping. It never stops! Oh yes, before I forget, a little soccer, and a little more, and a little more. Finally, an alphabetical listing of all pages in the web site appears below left, with each page linked. So that makes three different ways to navigate. Big kids with . .